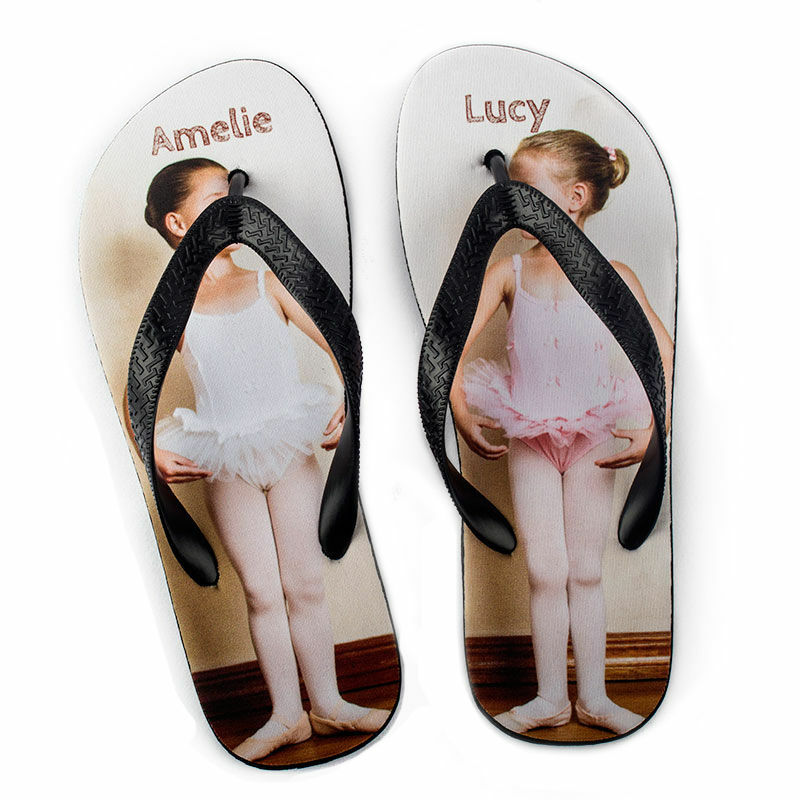 Personalised thongs are a great gift idea for kids to use on holiday or swim lessons. Print their name and photo for easy identification and to encourage them to walk sensibly around the pool. Made from durable non-crumble foam with your photos printed onto a duchess satin lining, they're the perfect gift for fun-loving children who want to play in the sunny weather. 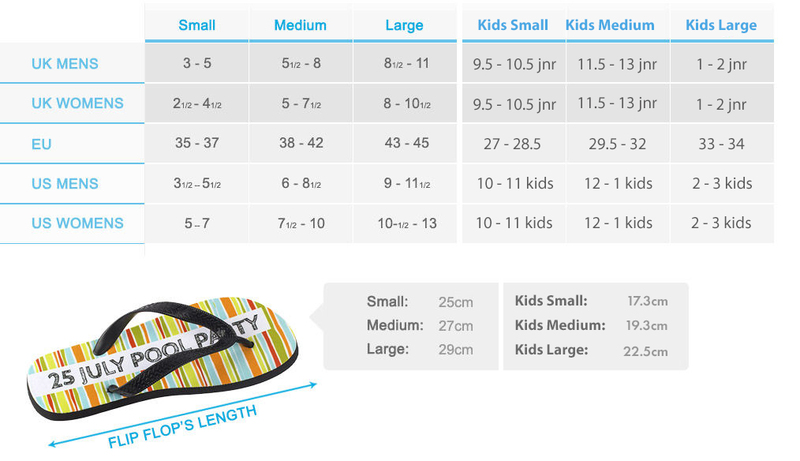 Soft, spongy and durable, these personalised junior flip flops are a must have for summer days, holidays, or swimming lessons. Printed with your photos and text onto the satin lining of each foot, they're a stylish way to identify your child's property. Choose from kids size small, medium, or large and let your kids express their individual style at the same time as protecting their feet. The plastic straps are designed specifically to prevent rubbing, which is ideal when little ones are making sandcastles or walking with family. Make your own thongs and add instant flair to your kids' summer attire. The product quality is so much better than I anticipated and the whole process was very quick! Already ordered myself a pair, which will arrive tomorrow! Your flip flops are handmade to order. We take non-crumble spongy foam and cut it to size, including a ridged sole to give your child that all important grip. Your designs are printed onto soft duchess satin fabric, which lines the top of the foam to ensure maximum comfort. These flip flops aren't just for one holiday though, as they're durable and hard-wearing with a long-lasting print that won't crack or peel, even with inevitable poolside splashing. The plastic straps are moulded to fit around your child's feet, resulting in a gorgeous pair of sandals that look and feel good.